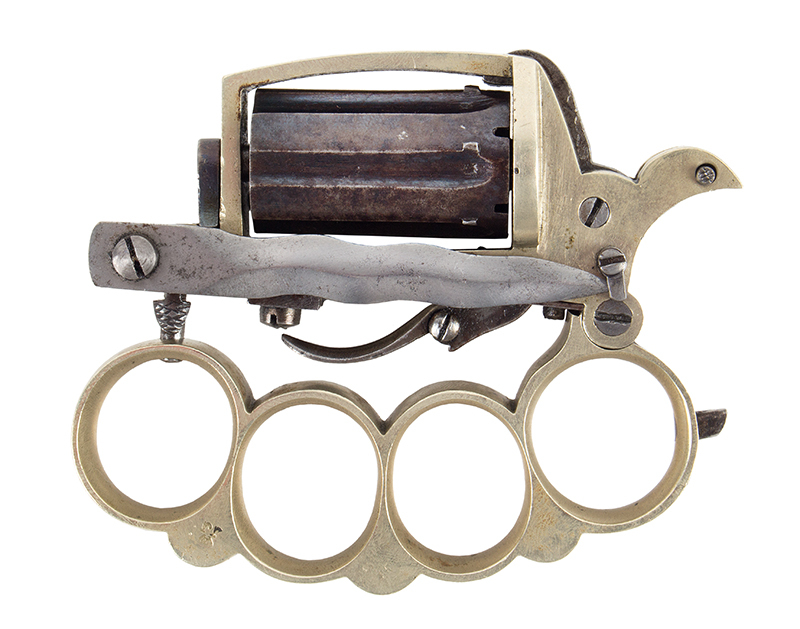 The 3 1/8” knife is mounted on left side of frame, folds to rear on side of frame; mainspring is on right side of frame; knuckle folds and locks forming pistol grip; double-action folding trigger and spurless hammer. The six-shot cylinder with long flutes is a mottled brown. This third-quarter nineteenth century weapon made famous by the French underground is not signed however it is a fine example with tight and smooth action…it is certain to please the most demanding collector.